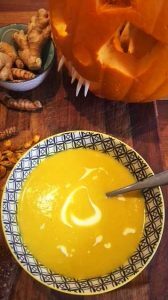 Horribly Healthy Spiced Pumpkin Soup This recipe is so super simple… utilising the season’s pumpkin bounty and ensuring no part is left wasted! Enjoy my horribly healthy curried soup recipe below. 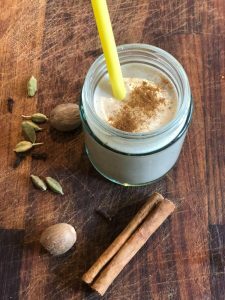 Spicy Chai Banana Smoothie: This is the perfect autumn smoothie – and using these herbs adds loads of flavour, without the need for lots of sweet fruit. 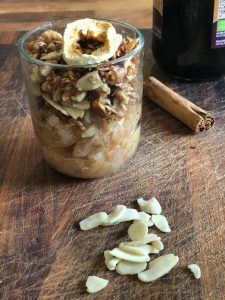 You could leave out the banana and nut butter, and use the rest of the ingredients to make a great bedtime drink!